Parents know the powers of baby security blankies. It’s pretty much a necessity in your childhood and even a necessity as a parent to a little one. Cuddly blankies are great for separation anxiety as it soothes and calms the child. It can make any unfamiliar place feel more like home. 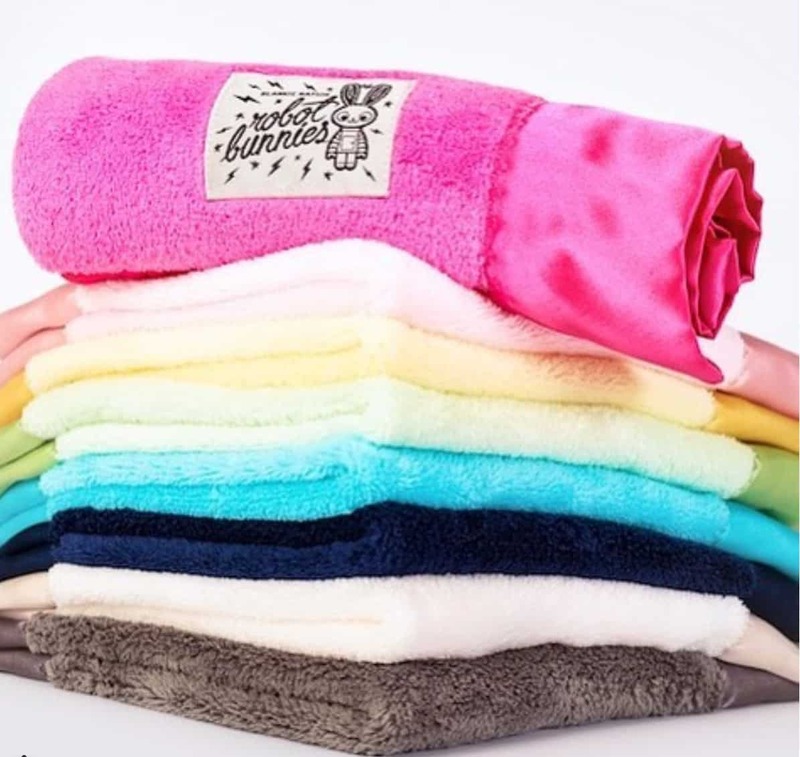 Soft blankies have saved many parents from sleepless nights. Give your baby or toddler comfort and security with a Robot Bunnies blanket. 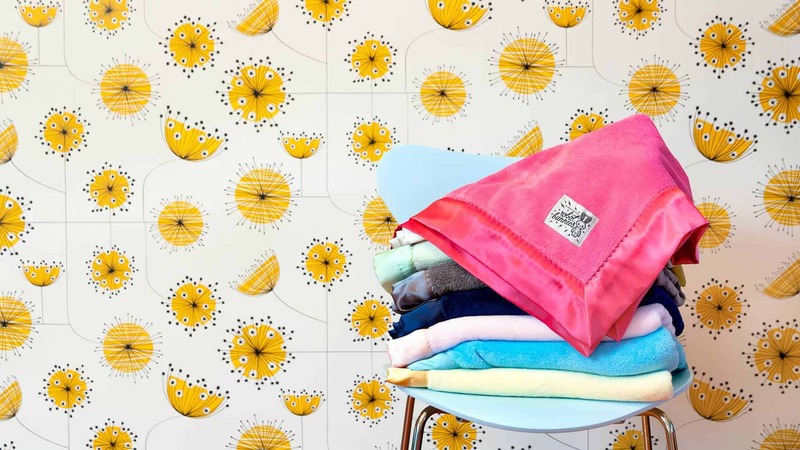 Their blankets are luxurious and known to be the new softest and silkiest baby blankets on the market. They are made from the highest quality textiles and are sure to keep your little one feeling safe and cozy. These ultra-soft blankets are a great holiday gift idea for birthdays, baby showers, and more. Robot Bunnies blankets are a superb baby gift that will be treasured forever! Robot Bunnies was created by Nikki Gersten McAvity. When Nikki saw her son, Simon, being comforted with his blankie, it brought back memories for her. She was also comforted with her blankie, aka Woobie, in her younger years. She described herself as a “blankie-toting thumb sucker”. She still has her Woobie to this day and sleeps with it every night. It has always given her feelings of happiness, warmth, soothing and safety. Nikki decided that she wanted to share this love with others. Ever since 2012, she’s put her heart and soul into creating a line of luscious baby blankies. Their website finally went live in September of 2018. Simon was not only the inspiration behind the idea but he was also the inspiration behind the company’s name, Robot Bunnies. 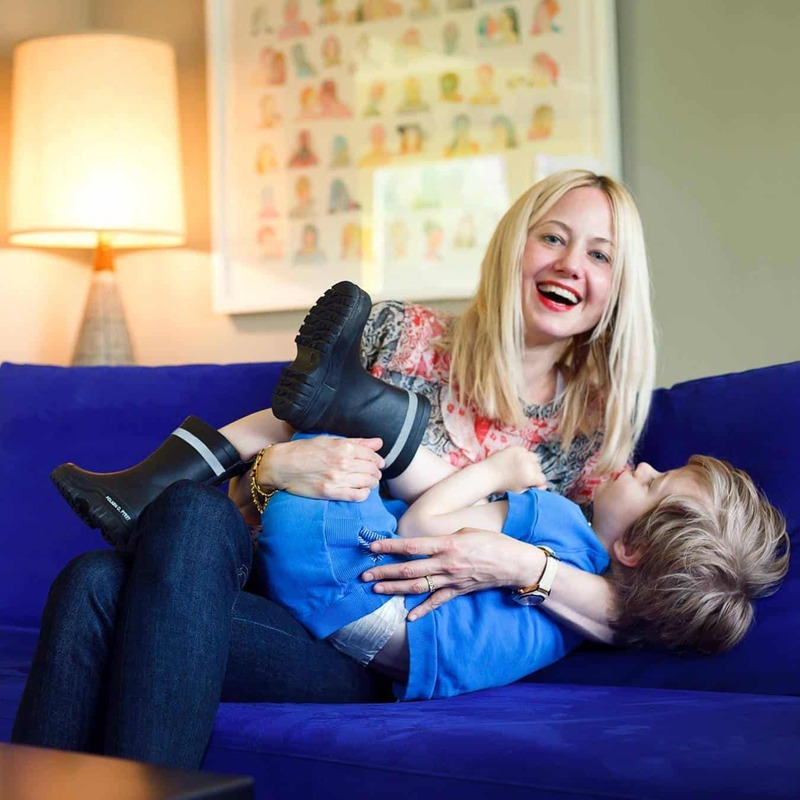 Nikki believes that every child must have warm and loving feelings as it’s a child’s ability to survive and thrive. So she’s partnered with Arizona Helping Hands. 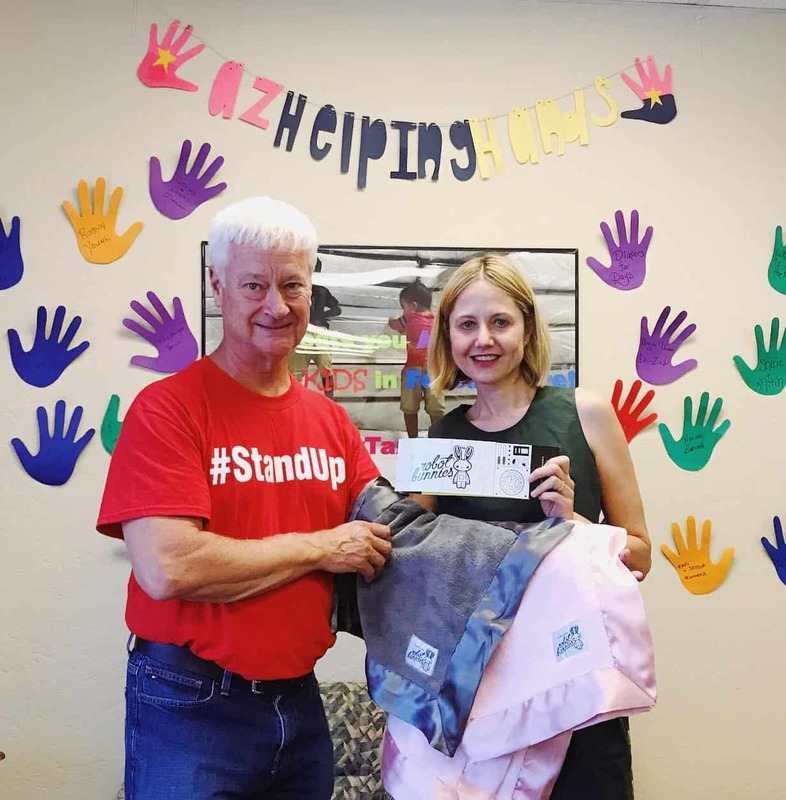 This is a non-profit organization that provided basic essential needs to boys and girls in foster care in Arizona. They provide beds, books, clothes and much more to thousands of foster kids each year. For every blanket that Robot Bunnies sell, they donate one blanket to a child in need. The snuggliest baby blanket ever comes in two sweet sizes. The Beloved Blankie Classic is 30×36 and the Mini B is 18×18. 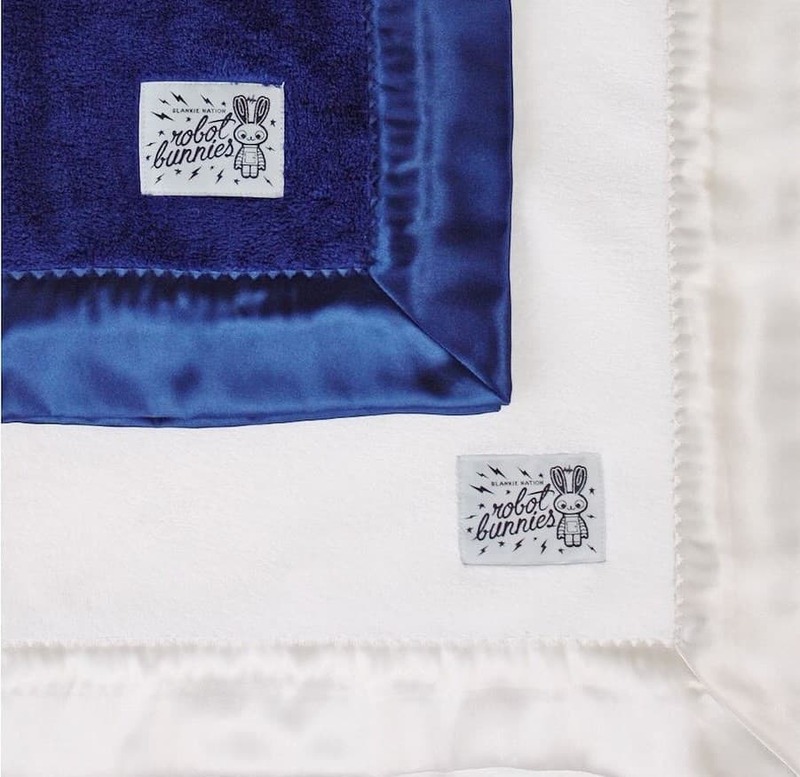 Robot Bunnies blankies combine super soft poly microfiber with luxe satin. These fabrics are lush, high quality and easy to clean. To clean, simply machine wash on gentle cycle and cold setting, then dry flat or in the dryer on the lowest heat setting. 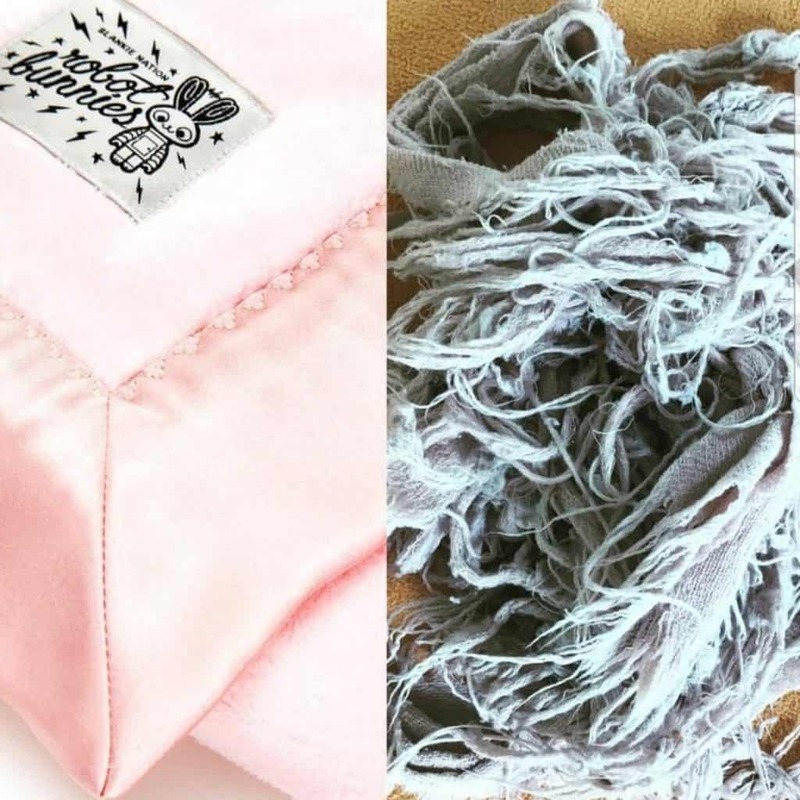 These lovable blankies come in eight darling colors: Little Boy Blue, Sunny Bunny, Snuggle Storm, Pink Bomb, Little Sprout, Tutu Cutie, Dreamy Creamy, and Night Night Navy. Get a Mini B as a backup in case the original blankie gets lost or damaged. Having a backup blankie is also great for those days you need to pry away the blankie for a good cleaning. If the blankie ever gets lost, no worries! Order a replacement from Robot Bunnies and get Priority or Overnight Express shipping. 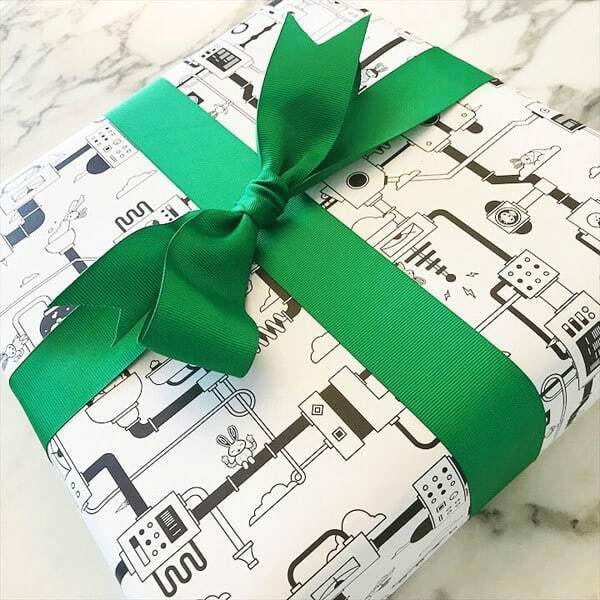 Every purchase is gift wrapped with their signature wrapping paper, Fab Bunny Factory Wrap. Comfort your baby with luxurious Robot Bunnies baby blankies. 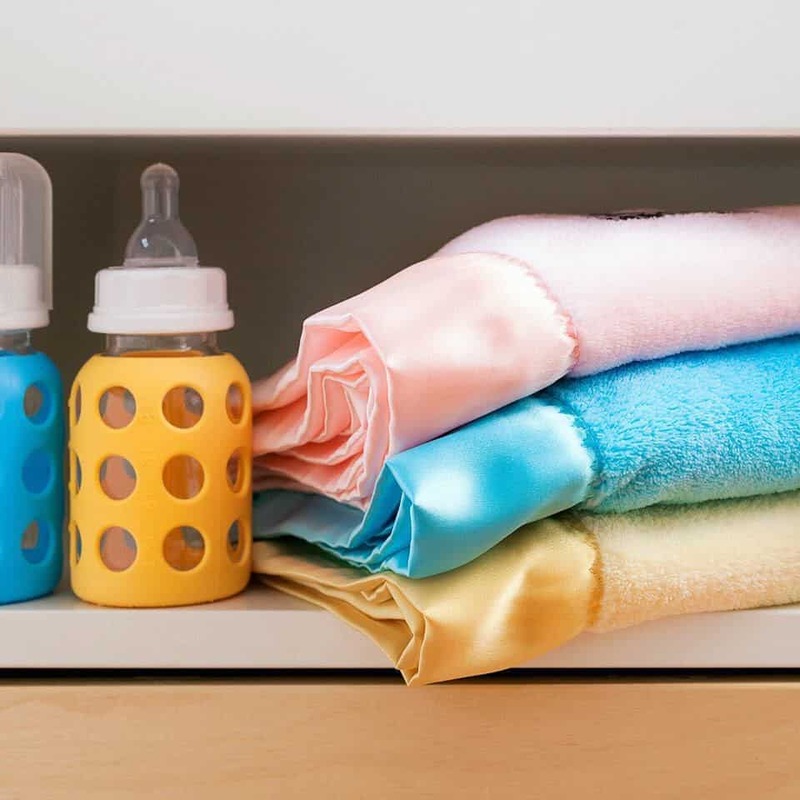 They offer a range of fashionable colors that are sure to match your nursery. The luxuriously soft material will keep your child feeling comforted and loved for years to come. I bought this for my sister who is having a baby boy. The theme is elephants and I just couldn’t resist. She loves it and says that it is soft and really cuddly. She also said one of her nieces has a similar one and has been carrying it around for three years — just loves it. There’s just something really cute about having a stuffed animal attached to a blanket. Our little one hasn’t ever gotten into blankies but I may try these. He loves his loveys! These Robot Bunnies blankets sound amazing! My boys were never attached to a blanket much when they were younger but did enjoy soft textures. I love that she is using it as a way to give back, too! This sounds so cozy and amazing! My little babe would love this, also a great christmas gift idea for a few people I know! Those blankets look amazing! I love brands that give back to those in need so that is definitely a plus on my board! I love snuggly blankets. Babies always get the softest cuddlest things. Lovely how caring this lady is. Love this bunnie blanket so cute and perfect gift for my God daughter in Christmas. Love it! These Bunnie blankets look so cozy and I’ll agree that babies really need blankets to keep warm. And I love how the organization is into charity, ensuring every baby is kept warm. They do sound amazing! We are not at that phase yet since she’s not into a transient thing due to breastfeeding. Oh don’t these look soft and cozy. 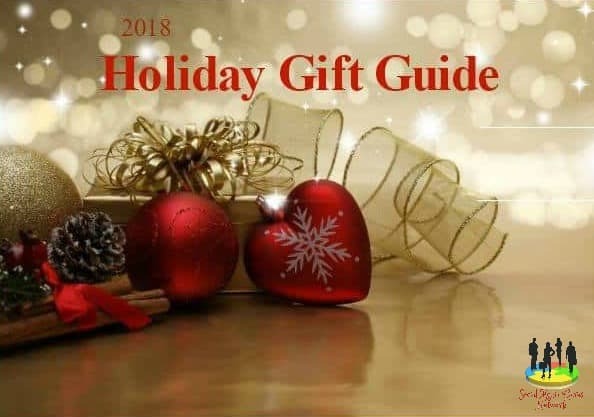 These would be great gifts for expecting mom friend I know…she’ll love it. Awww I love how bright and snugly this look! And I really love how they donate to kids in need, that really speaks to my heart. If my kids were little (or I have another one) I would totally buy these! The colors are so pretty and the blankets look super soft and comfy. Almost makes me want to have a baby. Almost. Those blankets do look lush! – and great colors! I love that the company gives back, too! I have to give this link to my friend, she just had her third baby and nights are now turning into late nighters. This is very timely! I just got invited to attend a gender reveal party. Now I know what present to buy for them!